So: How did it go? How was being gluten-free (-ish) for a week (-ish)? It was marvelous. Not quite heaven, but enough to keep me going on a path of less gluten -- or, at the very least, less bread. To be clear: I had a bit of a cold mid-week, so that made this kind of a weird time for this experiment. I never really like to eat much bread (or anything) when I have a cold -- and I certainly wouldn't normally drink so much hot tea in one week. But casting that aside, I still felt better. What made it so good? I felt more energetic, for one. I had fewer cravings. I ran better. I was lighter, more upbeat -- and by all means, less bloated. I can't say definitively if gluten is causing my tummy to be so puffy -- but my clothes fit way better this week. And if the scales are to be believed (take this with a giant grain of salt, as we're quite skeptical on ours) -- I lost three pounds between Sunday and Friday. As several people noted to me this week, it's fairly easy to go gluten-free these days, especially in San Francisco -- and especially if you work at a fancy technology company where there's always a salad bar at lunch. I'm also married to an Indian -- and while we didn't cook Indian food this particular week, rice tends to be more a part of our routine than bread anyway. So I don't feel exactly deprived when it comes to food, which makes the whole experience better, I'm sure. I promptly quit Friday evening, when, of course, the opportunity for a slice of Friday pizza presented itself -- and I've been breading it up since then. It's been nice to be open to all restaurants again -- but after a feast at Pizzeria Delfina tonight, I'm ready to get back to feeling a little less sluggish tomorrow. As I noted in my first post on the subject, I don't intend to focus on completely clearing gluten from my life. I still love pizza, and cake, and baking (sometimes all three at once!) -- and I don't see a need to avoid my beloved wheat flour entirely. But I do think that limiting it to weekends, as some people do with desserts, might make a difference for my overall well-being. I'll keep trucking for a few weeks and report back here. I took two extra days off last week so that I could have a really long holiday weekend -- and I am happy to report that five days off, at the end of summer, is a marvelous thing. I am heading back to work today feeling refreshed, relaxed and energized. On my break, I remembered to look forward to things. 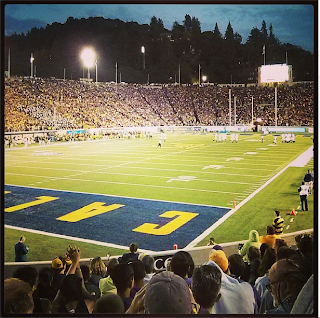 Going to the Northwestern-Berkeley game Saturday night was a great reminder of how awesome fall is, with its college football, crisp nights and sweet flavors -- pumpkin lattes, Halloween candy and Diwali food. I started preparing for my favorite fall holiday, Thanksgiving, with my re-planted herb garden (third time’s a charm, right?). Cilantro, sage, two types of basil and some California poppies for good measure. I got back in sync with my writing. This is the third time in four days that I’ve sat down to write. I sat still. On Thursday, I sat on the couch reading for three hours straight -- and it was pure heaven. Read, doze, read, doze. I finally finished The Orphan Master’s Son. 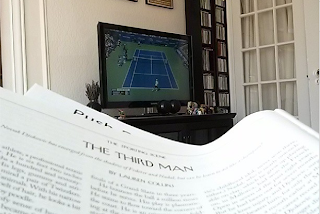 I read about tennis. I read the paper. Ah, vacation! Reading about and watching Novak Djokovic. 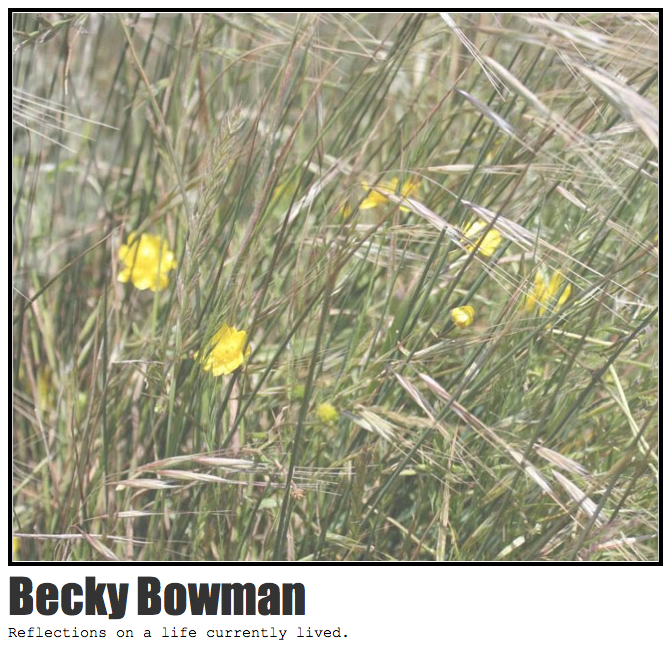 An immersive study. All in all, quite the successful five days. And now off to work I must go. I’ve suspected I might do better without gluten for a few years now -- ever since I did the food experiment that helped me find my citrus issues. I don't think I'm gluten intolerant, or that I have celiac disease -- as I feel otherwise fine. But during the week where I skipped gluten, I felt amazing. I dropped a lot of foods during that week, of course (so I could slowly add them back the next week) -- dairy, wheat, any white flour, eggs, corn, peanuts, bananas, beef, tomatoes, potatoes, oranges, soy, chocolate, pork, sugar (including all candy), yeasts. (I also avoided alcohol and caffeine, save for a spare glass of red wine or cup of black tea.) But that’s a laundry list of suspected irritants that seems impossible to eliminate completely from my daily intake -- even more so when you consider that many of those things listed are either favorites of mine (chocolate?!) or so integrated into what I currently eat (eggs). So I’ll start experimenting with gluten. Why now? I read yet another article this weekend (in The New Yorker) in which an athlete, this time Novak Djokovic, is revealed to be someone who avoids gluten. I don’t know that I buy into the diagnosis method Djokovic’s doctor used -- but the concept of avoiding gluten is still food for fodder, so to speak. And as I’ve been feeling oh-so-tired after my workouts this summer, I’m open to new possibilities at the moment. So off to the gluten-free (as much as possible) races we go. I’ll let you know how it turns out.